It took a bit longer than expected but Google has finally released the factory image and OTA image for Android Nougat for the Nexus 6P. With the release of these images, it means that 6P owners can expect to start seeing Nougat drop onto their devices over the course of the next few days and weeks. The update is a big one at over 900MB so you will want to make sure you phone is connected to Wi-Fi and fully charged before you start the update process. All in, it will take about 30 minutes from download to install to reboot. As for why it took this long to get the update out is a point of speculation. week, for the Nexus 6P it was a Marshmallow update. Other sites like Android Police indicated that the update had been halted because of an issue that Huawei (who makes the 6P) was having on the device running Nougat. I’m not sure how much water that holds because I’ve had Android Nougat running on my 6P since it was released (actually before in Developer Previews) and encountered no show stopping bugs. Whatever the case or reason, it is a bit moot now. The images are there for those who want to manually flash and the OTA images are there which means you should be getting an automatic update in the coming days. 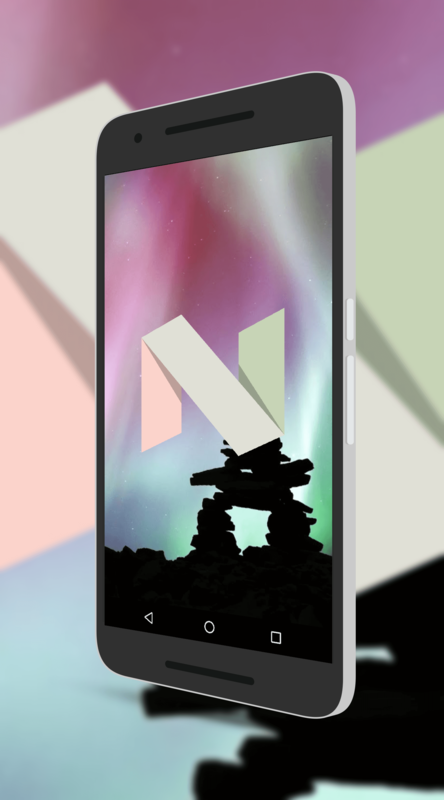 You can read my review of Android Nougat here to see what is coming for your 6P and trust me, you’ll like what you see.